What are the things that can make you happy in your own home? For many of us, it can be relaxing on our favorite chair, enjoying a delicious meal, and spending time with our loved ones. And, for homeowners Sher Lo and Gary McGowan, they can also look forward to coming home to a place that they planned, furnished, and decorated on their own. 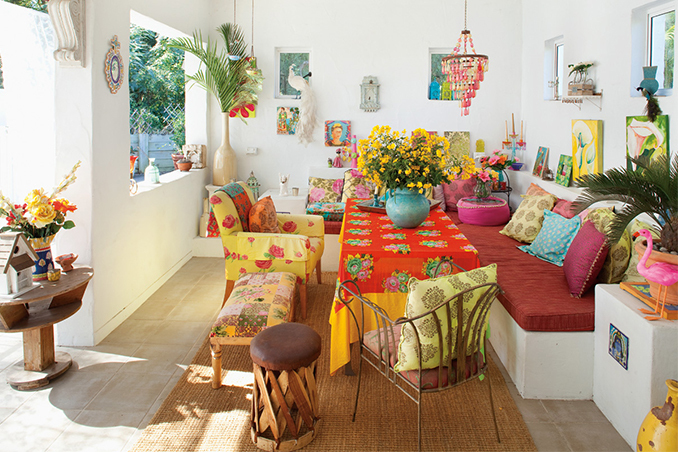 Inspired by Ralph Lauren's vacation house, Domenico Dolce and Stefano Gabbana's holiday home, and Moorish, Indian, and Santorini design influences, the couple created a unique yet comfortable haven for their family.